Melody came to us from Bunker Farm as a heifer. Sarah and I thought she was very special and we both admired her dam Lindsay Melody A213 immensely, a big, square, meaty cow with fantastic structure. Melody has been a wonderful addition to our herd and provides another breeding line for us and our clients. 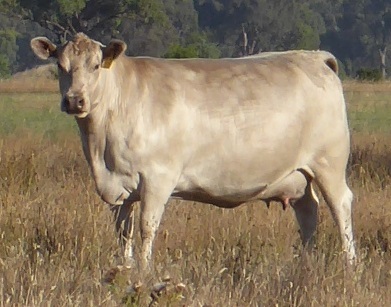 To date, she has produced a lovely string of heifers and we are still waiting for a bull . . . .!